Tracie Afifi received her Bachelor of Science (BSc) in 1999 and her Master of Science (MSc) in 2003 at the University of Manitoba. Her MSc thesis research focused on the relationship between child physical abuse and adolescent motherhood. In 2009, she completed her Doctorate in the Department of Community Health Sciences at the University of Manitoba. Her dissertation research examined problem gambling among women in Canada. 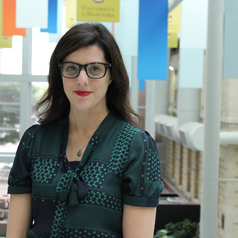 Following her PhD, Dr. Afifi did a Canadian Institutes of Health Research (CIHR) post-doctoral fellowship studying behavioral-genetics analysis of posttraumatic stress disorder at the University of Regina and the University of British Columbia. Dr. Afifi joined the faculty in the Department of Community Health Sciences with a cross appointment in the Department of Psychiatry at the University of Manitoba in 2010. In 2014, she was promoted to Associate Professor and in 2016 was granted tenure. Dr. Afifi has developed two primary research interests in the areas of child maltreatment (including child abuse, neglect, physical punishment, and exposure to intimate partner violence) and problem gambling. She has used population-based data from Canada, the United States, and the Netherlands to investigate mental and physical health correlates of both family violence and problem gambling. Dr. Afifi has published over 90 peer-reviewed journal publications and presented research findings in over 105 national and international conference proceedings. Dr. Afifi has participated in over 100 media interviews for print, radio, television, and social media resulting in over 1,500 known worldwide news stories.